Envirosafe Ireland provide sterile filter dryers from lab development to commercial production supporting globally our customer database by refining the design of our state-of-art filter dryers for more efficient aseptic manufacturing. During aseptic processing of sterile product the substance needs to be isolated and washed in a sterile filter and dried. Utilization of the Laboratory Filter Dryer will ease technology transfer from Laboratory to Kilo Lab/Pilot plant scale. Filter Dryer technology allows those steps to perform within a single vessel minimizing sterile product handling and exposure. Our filter dryers utilise double gas lift-off mechanical seals, unique off-loading designs, and innovative bellow technology, and have CIP (clean-in-place) and SIP (steam-in-place) capabilities. 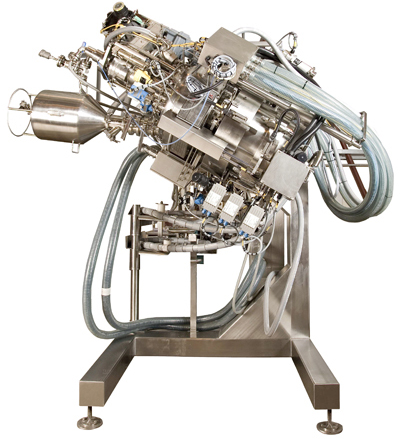 Our engineering development team also developed specific sterile filter dryer designs for microsphere application.